Home » Actors » Parisa Fitz-Henley Married With Husband & No One Noticed! Are They Parents? 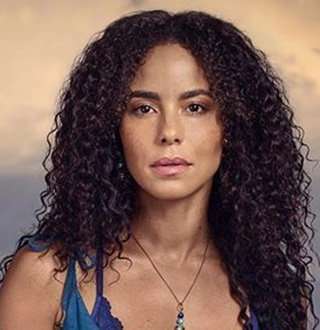 Jamaican-American actress Parisa Fitz-Henley's married life has remained hidden to such an extent that even the most ardent fans of her do not know about such a bond existing. Her sizzling chemistry with her on-screen partner has been so convincing that it has wholly veiled her actual married, leading many to believe that her onscreen romance gets replayed out of sets. Parisa Fitz-Henley is best known for portraying Reva Connors in Marvel’s Jessica Jone in 2015 and Luke Cage in 2016. She’s also known for playing the role of Meghan Markle in the 2018 movie, Harry and Meghan: A Royal Romance. Parisa also played the role of Peggy in the Rom-Com film, Lola Versus in 2012. Born on 22 July 1977, Parisa Fitz-Henley comes from a mixed ethnicity as her mother is of English/German/Italian descent and her father was Jamaican. She was raised by her parents in Kingston, Jamaica alongside her brother. Carrying a passion for acting from a very young age, Parisa made her television debut in CSI: NY as Charlene Franklin in 2006. Her skills soon led her to star in movies like Even Money (2006), The Jane Austen Book Club (2007), Post Grad (2009), The Sorcerer’s Apprentice (2010), Bluebird (2013) and many others along the years. The actress, aged 41, has also made several appearances in television series as well, including Grey’s Anatomy, Blue Bloods, Golden Boy, The Mysteries of Laura, House of Cards, Jessica Jones, and Falling Water among many others known dramas. However, her coming of age role came in 2018 when she portrayed Meghan Markle in the biographical romance, Harry & Meghan: A Royal Romance. As the name suggests, the movie is based on the love story of Prince Harry and the Duchess of Sussex, alongside Murray Fraser. Parisa also portrays the lead role of Fiji Cavanaugh in the American supernatural drama television series, Midnight, Texas that premiered on 24 July 2017 and whose second season premiered on 26 October 2018. Despite having made a big impression in Hollywood, the down to earth star is as humble as it comes. I miss my dad’s large but strangely graceful hands. His voice. The way his chest felt through worn-soft button downs when he’d hug me. Her father must’ve had a great influence on her. She also shows her love for her mother whether it’s just posting a random picture or wishing her a mother’s day. She also mentioned how wonderful her stepfather on Twitter in 2017, so it’s safe to assume that her mother found love and remarried. While Parisa lost her biological father, she has been blessed with a great stepdad who helps her learn how to be treated by men. And she has her parents’ support through whatever she does in her life. Who is Parisa Fitz-Henley's Real-Life Husband? 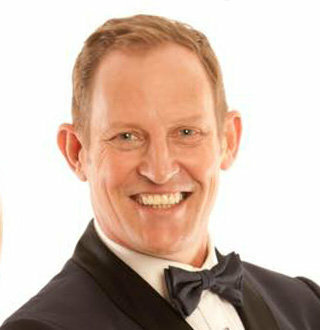 Fans often ship Parisa with her on-screen husband, Murray Fraser who plays Prince Harry in Harry and Meghan: A Royal Romance. Yeah, they do look cute, and all but people seem to be forgetting about the fact that she’s married in real life to someone else. If you missed that, she’s married to her husband, Araya Crosskill for 16 years already. Yes, 16 long years of married life and nobody seems to be getting many details on it. How is that possible, you might ask? Well, Parisa is more than just strict about keeping her married life with her husband in the shadows. Since she got married in 2002 and only started to rise to fame from 2006. As she has kept her long-lived married life and husband behind the thick curtains, it might be too much to expect to learn if the two are parents to any kids. But all in all, Parisa is extra careful about dropping any hints about her husband or any detail on her married life.